In the dietary world, this phenomenon is called nutrient synergy – a case of specific nutrients working in concert to produce a health benefit that is far greater than the sum of the individual parts. Whether it is because they enhance each other’s absorption or because they have more potent physiological effects when they join forces, pairing nutrients that have a synergistic effect can help promote and support good health, energy, mental clarity, and even longevity. 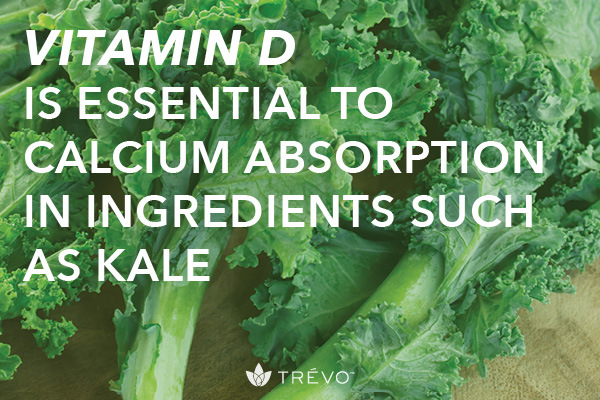 The right combinations of nutrients can lead to optimization for our bodies and our palates simultaneously. 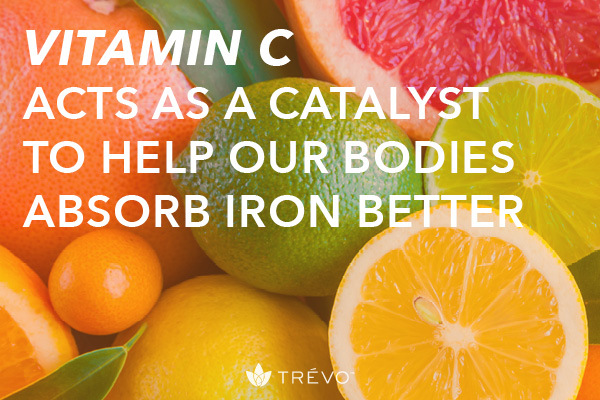 The synergistic effect: Vitamin C (ascorbic acid) acts as a catalyst to help our bodies absorb iron better from food and from supplements. This is important because iron is an essential component of hemoglobin, the substance in red blood cells that delivers oxygen to every cell in your body. Without enough iron and oxygen, you’re likely to feel tired, your immune system’s ability to fight off infections will take a hit and your brain function may not be as sharp as it could or should be. The synergistic effect: They work together synergistically to reduce levels of homocysteine, an amino acid, in the body. Lower homocysteine supports and helps maintain cardiovascular system health. The trio of B vitamins also helps maintain brain health and proper neurological function. The synergistic effect: Calcium is known as the bone-building nutrient but vitamin D is absolutely essential for proper calcium absorption. The synergistic effect: Both have antioxidant properties, helping to protect cells from damage caused by free radicals. They act as a defense system to keep the cells healthier – the combination is more effective than either is alone. Together, they also support the maintenance of circulatory and cardiovascular system health. The synergistic effect: Every mineral affects two other nutrients – it is like a ping-pong situation. In the case of these three minerals, there is a group dynamic that helps promote proper nerve function and electrolyte balance while also supporting healthy blood pressure. They do not work as well individually to positively affect blood pressure. 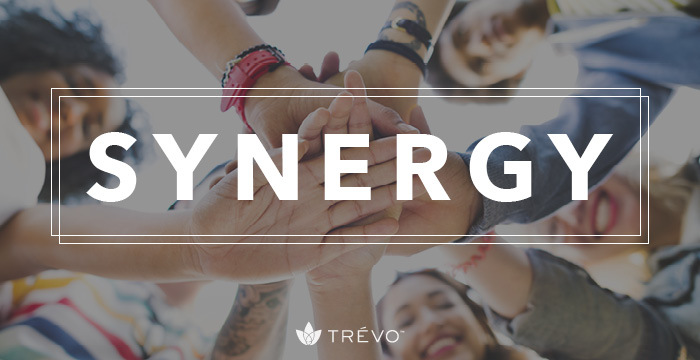 These are just five examples of the importance of synergy when it comes to choosing the best nutritional supplement for your family. 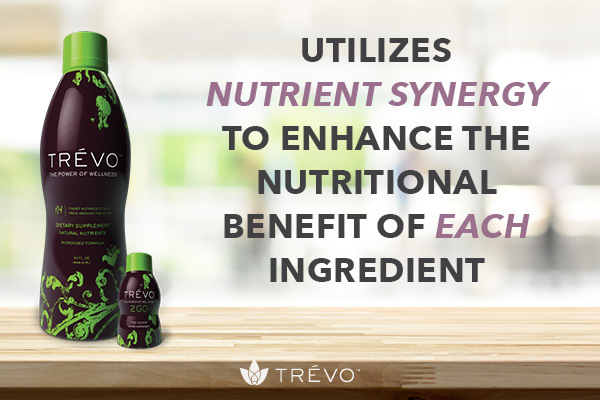 Trѐvo, with its 174 carefully selected and masterfully combined ingredients, utilizes nutrient synergy to increase, enhance and empower the nutritional benefits of each and every ingredient in this fabulous, one-of-a-kind vegetarian nutritional product.